As your dependable small crossover SUV, the INFINITI QX30 will give you years of great performance when you follow its manufacturer-recommended maintenance schedule. Our team at Cerritos INFINITI wants to help you. We’ve put together an INFINITI QX30 maintenance schedule for drivers in the Long Beach, Torrance and Fullerton areas. It outlines all the services your vehicle will need, and when it will need them. With these guidelines, you’ll never have to miss a service appointment again. After your first 5,000 miles or six months—whichever comes first—you’ll want to schedule your first visit. At this time, your QX30 will need a tire rotation to keep your tire wear even and extend the life of your tires. You’ll also want a top-to-bottom vehicle inspection to make sure all your vehicle’s systems are working correctly. When you’ve been driving for a year or hit 10,000 miles, you’re ready for another routine service visit: this time, for an oil and filter change. You want to make sure you have a good supply of engine oil to keep your QX30’s motor from overheating while it’s running. The INFINITI QX30 has an automatic oil change monitoring system that’ll let you know if, and when, you need an oil change. If an “Engine Oil—Service Due Now” warning shows up in the vehicle information display, schedule an appointment to replace your oil and filter, even if you haven’t yet hit 10,000 miles. At 10,000 miles, service professionals will also need to perform a brake inspection. Your brake lines, cables, pads, and rotors will all have to be checked. The letter shows which service is due. “A” indicates a minor service, while “B” is a major one. Keep Your INFINITI QX30 Performing at Its Very Best! If you want to keep your INFINITI QX30 running smoothly for years to come, start by staying on top of its recommended maintenance schedule. If you think your vehicle needs servicing, don’t wait! 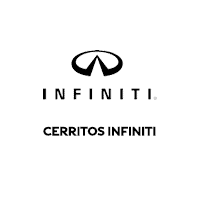 Get in touch with Cerritos INFINITI near Long Beach, Torrance, and Fullerton, and schedule your service appointment today.